As set out previously in this judgment the parties signed a prenuptial agreement on 31 May 1994, the day before the parties were due to be married. That document is in (nationality omitted) as that was the only language of the Wife at the time of the parties’ marriage. An accurate translation of that document is set out in paragraph (13) of this judgment. It is the Husband’s submission that this document should be seen as binding on the parties as it was entered into freely by both of them and they conducted their financial affairs in such a way as to reflect the terms of that prenuptial agreement. It is the Wife’s submission that this prenuptial agreement was signed by the parties some six years prior to the introduction of Part VIIIA of the Act and further that it was signed by both parties, and she in particular, without the benefit of any legal advice. It is the Wife’s further submission that she was put under considerable pressure by the Husband to sign the agreement in circumstances where he presented it to her the day before the marriage and he told her that if she did not sign the document the marriage would not proceed. It is the Wife’s evidence that she had moved from (country omitted) to Australia in order to marry the Husband, she was without any family or support in Australia and in those circumstances felt she had no other option available to her but to sign the agreement. It is further submitted on behalf of the Wife that subsequent to the parties’ marriage they did not conducted their financial affairs in accordance with the terms of the agreement. It is the Wife’s evidence that the proceeds of sale of her apartment in (country omitted) was used for the benefit of the parties and in particular for the payment of Mr K’s educational costs. Further, it is the Wife’s evidence that the various properties and resources of the Husband listed in the financial agreement were realised and whilst some of those proceeds were utilised in the purchase of Property R, the balance was used by the parties for the benefit of the family as a whole. The funds were used to meet the costs of the various trips made by the parties to (country omitted) and in particular in 1998 when the family moved to live in that country, for the purchase of motor vehicles and in meeting the day-to-day living expenses of the parties, particularly prior to the Husband becoming eligible to receive Centrelink payments and whilst the parties lived in (country omitted). The Husband at the commencement of the trial urged the Court to adjourn the hearing of the matter until the High Court handed down its decision in the matter of Thorne v Kennedy. In that matter the High Court on 10 March 2017 granted special leave to appeal on the question of the law of duress as it applies to financial agreements entered into pursuant to Part VIIIA of the Act. It was submitted by the Husband that if the Wife is arguing that the agreement entered into by the parties prior to their marriage should not be considered binding on the parties because it was entered into it by her under duress, then this court should await the determination of the High Court before dealing with this issue. The agreement signed by the parties predates the introduction of Part VIIIA of the Act. It was entered into in somewhat dubious circumstances and more particularly absent any legal advice to either of the parties. Further, the parties have not conducted their financial affairs in accordance with the terms of the agreement during the period of their relationship. Whilst the decision of the High Court in Thorne v Kennedy will be of genuine assistance in clarifying the law on the question of duress relating to financial agreements entered into pursuant to Part VIIIA of the Act, it is not a decision of relevance to this matter given the agreement predates the introduction of that legislation. Accordingly, the existence of this document and its terms do not prohibit this court from making orders adjusting the parties’ property interests if the Court is satisfied it is just and equitable to do so. This is an adjourned application for consideration of the Application in a Case filed by the wife on 20 November 2015 in which she seeks orders that (1) the husband pay the sum of $150 by way of spousal maintenance “until such time as these property matters are resolved”; (2) that the wife do provide the husband with an itemised account of all work undertaken with copies of receipts for payments made; (3) that the husband pay half the costs associated with ensuring the former matrimonial home is maintained during the period of its sale … and (4) that the husband recommence payments in respect of the mortgage with Citibank over the former matrimonial home. There have been material filed by way of affidavits and several financial statements since that time. The property is on the market for sale and has not been sold. On the issue concerning the payment of the mortgage with Citibank the husband’s evidence is that the mortgage in relation to the former matrimonial home is the subject of a moratorium agreed with the Citibank until July 2015 and that he is negotiating for the moratorium to continue but is not able to give the Court any evidence other than that. In relation to the question of the mortgage the business apparently is continuing to pay the business part of the mortgage and my understanding is that the business will continue to do so pending the sale of the property. In relation therefore to the paragraph 4 of the Application in a Case and on the basis that the property is on the market for sale, the moratorium is until July 2015 and that the husband is continuing to negotiate the continuing moratorium I will not make orders in terms of paragraph 4. The question then turns to the application by the wife for spousal maintenance on an interim basis. There is considerable dispute as to the income of the business and how that money is dealt with. The wife is alleging in her documents and before the Court today that the husband receives cash and keeps that cash or banks it for his own use when the money is actually income from the business and that therefore there is not full disclosure of the income from the business. The husband asserts that the income is as disclosed. I have received the exhibits today, two of which relate to Westpac bank activities of one of the Westpac accounts operated by the husband since the separation and the other is the Stenner Family Trust financial report for the year ended 30 June 2015. Those exhibits also raise issues which cannot be dealt with on a final basis because the evidence has not been tested. Clearly exhibit 1 indicates that there had been significant funds being paid into the Westpac account which exceed the income from the business of $300 per week alleged by the husband in his most recent financial statement to be his only income (other than the family benefits paid by the Government to the father in relation to the children in his care). He asserts in his financial statement filed on 5 February 2016 that he does not receive any salary and that his income from the business J Pty Ltd is estimated to be $300 per week. The Government benefits are $108 a week. There is also an issue in relation to the accuracy of the financial report for the year ended 30 June 2015 which has been received as an exhibit as it has not been signed and it is not necessarily confirmed as reliable information concerning the business which apparently is operated by the family trust showing a loss for the financial year ended 30 June 2015. The alleged salaries and wages disclosed in that are apparently not for the husband but for an employee of the business. The issue therefore that I have to determine on this interim basis is if there is sufficient evidence to establish the need of the wife for spouse maintenance and the capacity for the husband to pay. I obviously take into account all of the factors in section 75 when considering interim spouse maintenance application. As far as the wife’s circumstances are concerned the most recent financial statement filed on 25 February 2016 shows that the only income she currently receives is the Newstart of $270 per week which is an amount which the Court should not take into account when considering the spouse maintenance issues. The evidence of the wife by way of affidavit shows the steps the wife is taking and has taken in relation to finding suitable employment. I am satisfied on the current status of the material before me that the wife has established that she is currently not able to obtain appropriate employment. The question therefore turns as to the need of the wife for support taking into account the disputed items by way of expenses, and the conceded fact that the wife is living in the home without paying the mortgage. I accept, however, that she continues to have a need for spousal maintenance due to the need to provide for her own food and associated telephone, clothing, medical items. I am not accepting as reasonable all of the costs of the wife claimed in part N of her most recent financial statement for the purposes of interim spousal maintenance. It would be subject to proof as to whether the $60 per week for gardening/lawn mowing and $50 per week for cleaning (house/pool) are reasonable expenses but that will be determined in due course. I take into account, however, the overall needs of the wife on a reasonable basis. I am satisfied that she has established appropriately the need for the payment of $150 per week which is the spousal maintenance being sought in the Application in a Case filed on 20 November 2015. The factors then turn to the capacity of the husband to pay taking into account his financial circumstances. The business income indicates that the business is operating at a loss for the year ended 30 June 2015. The husband’s financial statement filed this February 2016 clearly indicates notwithstanding that the business operated at a loss for the financial year ended 30 June 2015 the husband continues to draw on his estimate $300 per week and the business continues to pay for him the car, phone and insurance of $50 per week and rent, petrol and power of $350 per week. The husband claims in the statement of financial circumstances the significant sums in relation to the education expenses for the children. I take into account significantly the husband’s responsibility for the primary care of the two children and the costs that would be associated with that over and above their education costs. The difficultly in these circumstances is the weight that I should give to exhibit 1 which shows significant sums being paid from the business account and the interpretation I should give for those. The difficulty I have with that is that they have not been tested. Some of them significantly relate to business expenses but others are clearly, possibly simply private expenses. It would appear, however, that the accounts are such that the husband has had the capacity to pay in those monies and draw out those monies over a period ranging from November 2015 through to January 2016. However, there is still insufficient information before me at this stage to make a finding on an interim basis that the husband has the capacity to pay the spousal maintenance which the wife seeks. Therefore although I have been satisfied that she has established the appropriate need for the $150 per week I am not satisfied that the contested information currently before me establishes sufficiently on an interim basis that the husband has the capacity to pay the spousal maintenance. Therefore I do not make that order and discharge the interim application. On the question of costs of the application for interim spousal maintenance each party bear their own costs. Spousal Maintenance (interim) and general observations from the Court as to the costs of protracted litigation. Regarding spousal maintenance, the Full Court in Bevan & Bevan (1995) FLC 92-600 at 81981 held, inter alia, that an award of spousal maintenance requires the Court to make: (1) a threshold finding under s.72; (2) consideration of s.74 and 75(2); (3) no fettering principle that pre-separation standard of living must automatically be awarded where the respondent’s means permits; and (4) discretion exercised in accordance with the provisions of s.74 which is reasonable in the circumstances. The Court has no difficulty at all in finding, on the evidence before it, that the Applicant Wife is unable to support herself by reason of having the care and control of a child of the marriage who has not attained the age of 18 years. The Mother is solely responsible for the care of the parties’ child, X. Her evidence is that when he was three years old he was diagnosed with autism spectrum disorder, global developmental delay and prenatal kidney abnormality and dilation. Moreover, in about October 2014, he was diagnosed with a severely retracted jaw. The medical evidence in relation to X creates a strong impression that he requires very substantial support for his social communication impairment and his repetitive and restrictive behaviours. X attends a special school, five days per week, between 9.30am and 2.45pm. The Court does not accept the contention advanced on behalf of the Husband that the Wife could, somehow and perhaps miraculously, find work during the hours that X attends his special school. The fact that the Mother has (omitted) qualifications and indeed (omitted) skills from her past employment, does not advance the Respondent Husband’s case one iota in this regard. The fact is that, in circumstances where she is solely responsible for his care with no financial support from the Husband since October 2015, it is in this Court’s view perfectly appropriate for her to focus her life on attempting to meet X’s special skills, as best she can. The Court finds that the Applicant Wife is unable to support herself adequately by reason of having the care and control of X, in all the circumstances of this case. Moreover, the Wife’s financial circumstances as evidenced by her financial statement sworn 1 March 2016 plainly demonstrate that she is in need of spousal maintenance. All of her income is derived from Government benefits. Quite apart from the fact that her total personal expenditure was not challenged in cross-examination, the Court, nonetheless, independently concludes that the expenses that she discloses for herself are reasonable, given the amount of spousal maintenance that she seeks. The Wife was, of course, cross-examined about her financial circumstances, but, with all due respect to counsel for the Respondent Husband, the focus of the cross-examination was misplaced. Much of the cross-examination focused on her financial circumstances immediately before, at, and after the date of the separation. The Applicant Wife may well have disposed of various items of property, and it may well be that there are some grey areas about these transactions, but it seems equally open to the Court, on the available evidence, to conclude that her actions were in proportion to her needs. In any event, the focus of the present application is her present and future needs and whatever may have happened in the past, does not inform the Court’s decision about her present needs, and future needs. She is clearly in need, and is unable to support herself adequately. The focus then turns to the Husband’s capacity to pay the spousal maintenance sought. The Husband’s most recent financial statement was sworn 12 July 2016, before a notary public in (country omitted). He deposes that his only income is from the (omitted) Pension Scheme which gives him a benefit, expressed in Australian dollars, of $1,094 per week. He deposes to personal expenditure of $1,427 per week. He, of course, did not make himself available for cross-examination on his financial circumstances and his adjournment application was declined, as was an earlier application to give evidence by video link. Nonetheless, even a cursory examination of the expenditure in his financial statement raises issues of concern. It is not clear, for example, whether there is a relationship between the trustees of (omitted) settlement and the Husband, relating to the mortgage or rent payments at item 21 of his financial statement. This accounts for $363 of weekly expenditure. It is unclear what property the rates or levies at item 22 relate to. This is $38 per week. He claims MasterCard payments of $100 per week at item 30, but one can only assume that he funds some of the expenditure referred to at part N of his financial statement, via his Mastercard, so the $100 per week is, in effect, double dipping. His claim for $350 per week for food is manifestly unreasonable, compared to the Wife’s claim of $300 per week, which includes the party’s son. He claims tobacco of $60 per week, in circumstances where the Court is not prepared to allow that expenditure in priority to meeting the needs of his Wife. In other words, even if no attention were directed to the question of whether the Husband has properly disclosed his income, his claim for expenses does not survive critical scrutiny. However, the focus of the Wife’s case was very much on the issue of the Husband’s non-disclosure of his financial circumstances, and the reality (she contends) that he has understated his income. The Wife’s argument in this regard, based on the evidence before the Court, is extensively set out in the case outline document prepared by Mr Mark Hodges, her solicitor, filed 14 July 2016. The relevant paragraphs are 13-15.6. These submissions are cross-referenced, not just to the relevant pages of the Wife’s affidavits, but also to source documents which were tendered and came into evidence, for example, as exhibit A1. Notwithstanding the assertion contained in the Husband’s financial statement of 12 July 2016, his average monthly income is, more likely than not, in excess of $7000, being income received into his (omitted) Bank account, thus meaning that his weekly income is more like $1,770 per week, rather than the $1,094 that he asserts. The disclosure by the Husband at item 45 of his financial statement of his interest in a (omitted) retirement plan is insufficient, and misleading. He gives no value, even though he has been directed to provide information in relation to this asset and has declined to do so and even though the Wife’s expert evidence provides value in this regard. Significantly, in the present context, however, there is reason to believe that not only is this an asset which is valuable in the Husband’s hands, but it is also an asset that he could presently draw on, and which would supplement his income. The Husband has failed to properly account for the nature and value of his interest in the (omitted) Pension Scheme. The Wife’s evidence suggests that in addition to the yearly annuity that he receives as monthly income, he took a substantial lump sum benefit, in respect of which he has failed to make adequate disclosure as to how it was dealt with. Orders made on 19 May 2016 required the Husband to disclose the source of certain regular deposits into his (omitted) Bank account. He failed to do so. The Wife believes that the Husband has an interest in a (omitted) bank account and that this may explain the payments into the (omitted) Bank account. It is not clear whether this is the case or not. The Husband’s failure to disclose, as ordered, is merely one example of many in this case. The Court accepts that the amounts in question are relatively small, but the obligation on the Husband to disclose is clear, and he has failed to do so. The Wife has established the necessary elements to justify making an order for interim spousal maintenance in the sum of $1,000 weekly. Spousal maintenance – what are the wife’s reasonable needs? And to what extent can she support herself? In determining the threshold issue in Section 72 of the Family Law Act 1975 (Cth) the Court is to have regard to the matters set out in 75(2). The parties are in their 40’s and so far as I am aware are in a good state of health. Neither of the parties raises physical or mental incapacity in relation to an ability for appropriate gainful employment. Each has demonstrated that they are physically and mentally capable of earning an income. However, the wife raises the allegation that the husband has inhibited her capacity to earn an income through his alleged campaign of misinformation on the internet. Although it is not clear, I assume that this is a fact or circumstance which the wife contends the justice of the case requires to be taken into account under s75(2)(o). The statements on the internet and social media sites upon which the wife relies, annexed to her affidavit are very difficult to read as they are poor reproductions. However, it is clear that one entry purports to have been made by the husband’s sister on 22 September 2014 and another purports to have been made by the husband on the same date. The other documents are either illegible or appear to be comments made by third parties whose connection with the parties is unknown. In my view, even on the wife’s case, these internet statements taken at their highest could not have had an impact upon the wife’s reputation as she contends. According to her, she was appointed as a business development manager of a company in Singapore with a monthly salary of $20,000 per month at around the same time that these statements were made. Having attached no weight to these documents relied on by the wife, there is no evidence upon which I could be satisfied that any actions of the husband have had any detrimental impact on the wife’s capacity to earn an income. According to the wife’s affidavit, she has had an impressive history and demonstrated capacity to earn a significant income both in Australia prior to separation and in Singapore following separation. As the husband’s contribution to the support of the wife and children following separation had been limited to child support until July 2015 I draw the inference that the wife capably supported herself and the children for over three years. For the reasons given, I am not satisfied that the husband’s conduct has impeded the wife’s capacity to earn an income and there is no reason why her capacity is in any other way limited. On the basis of the wife’s previous pattern of employment I am satisfied that she has the capacity to earn a reasonable income. So far as the wife’s current income is concerned, in her Financial Statement sworn 27 September 2016, the wife says that she earns approximately $500 a week in total salary or wages before tax. The wife does not state any details of her employer but states that she is employed by “various casual employers”. However, an interim superannuation statement dated August 2016 attached to her Financial Statement indicates that her superannuation fund has received monthly employer contributions from a particular employer regularly since November 2015. It is not clear why the details of this employer or any others are omitted in the wife’s Financial Statement. Further, the wife has not filed any other documents such as wages slips to support her claim as to her income. For these Reasons, I have reservations about whether the wife has accurately stated her current income. The financial resources available to the wife is also a matter in dispute. According to her affidavit and Financial Statement she receives $400 per week from her partner. The wife says that he earns $1000 per week but also fails to declare any information to verify his income. There is also in my view some weight to be attached to the husband’s contention that the wife may have other available financial resources that are not disclosed. The issue of any financial entitlements arising from the wife’s franchise agreement for the business in New Zealand and her capacity to enforce a judgment in her favour from Singapore are two of the matters in dispute. The wife has also obviously had some capacity to pay legal fees which would suggest that she has other financial resources available to her. The wife has the care and control of the three children who are 16, 11 and eight years of age. The husband has been paying child support in Australia though this has been a matter of dispute between the parties which has resulted in an objection being successfully lodged by the husband. Subsequent to the date of the objection decision, the wife has requested that the CSA end the child support payments for the children. There is no evidence of other commitments of the parties that are necessary to enable the party to support him or herself or their children or of responsibilities of either party to support any other person. The wife receives $240 by way of “family benefit” and also $263 which is described as an “NEIS Full time student payment”. The wife does not address the issue of her being a “full time student” in her affidavit and the basis upon which this payment is made is unknown. The issue of a reasonable standard of living, being one of the matters that the court is to take into account in relation to spousal maintenance appears to be another matter of significance to the wife in this application. As I understand it, a reasonable standard of living goes to the heart of the applicant wife’s reasonable needs. This is a very unusual application. It is being determined four years after the parties separated and throughout that period of separation the wife has demonstrated a capacity to support herself and meet her reasonable needs without any contribution by the husband. While it is not entirely clear, it appears that the wife contends that she did not need the husband’s support when she was living in Singapore following separation but has needed it since arriving in Australia in May 2015. The wife appears to attach significant weight in this application to the fact that the husband consented to orders that he pay the rent for premises for herself and the children in Sydney and $400 per week in spousal maintenance in July 2015. In my view, no inference can be drawn from the husband’s consent to these orders in July 2015 which is relevant to the issue of the wife’s capacity to support herself and her reasonable needs. It is to be remembered that at the time the husband consented to these orders, there had been protracted parenting proceedings in Singapore which resulted in orders that he have sole custody of the children for six months from May 2015 and that he be permitted to return to Australia with the children. It is unknown why the Australian Federal Police intervened in the parenting arrangement upon the arrival of the husband and children in Australia in May 2015 and the wife then unilaterally and covertly relocated to Western Australia. The husband was at this time attempting to encourage the wife to return to Sydney with the children. In these circumstances it was in my view, totally reasonable that the husband consented to orders to provide financial assistance for the family to live in Sydney. It cannot however in my view, be incumbent on the husband to continue to support the wife if she cannot demonstrate that she is not reasonably able to support herself simply because he previously consented to orders for spousal maintenance in particular circumstances. I accept the wife’s contention that her current expenses set out in her Financial Statement and affidavit are modest. However, on her own evidence the wife’s partner pays the household rent in full and her own expenses are only $155 per week. Her expenses are well able to be covered by the average weekly income of $1000 that she declares, and the additional $100 contributed by her partner. It is difficult to understand why, when the wife asserts that the children’s weekly expenses are $644 she is no longer seeking child support from the husband. However, although the children’s expenses are not to be taken into account in a claim for spousal maintenance, even the total expenses for herself and the children of $799 each week can be paid for from the wife’s weekly income, as her partner’s contribution completely covers his own expenses and all of the rent. The wife seems to suggest in her affidavit that the family’s current accommodation is substandard. She describes it as “far inferior” to the accommodation in which the family had previously been living when the husband was paying the rent or to other accommodation in which she and the husband had lived throughout the lives of the children, even following separation. As noted previously there is no principle that an applicant for spousal maintenance is entitled to the same standard of living as was enjoyed prior to separation. There is also a dispute between the parties about the cost of rent of premises of a similar standard to those in which the family had previously been living prior to March 2016 when the wife and children moved to publicly subsidised housing. There is however no satisfactory explanation as to why the wife is not earning a considerably greater income in her chosen occupation and could thereby pay rent on higher quality premises. I am of the view that the wife’s current circumstances are not due to an inability to support herself adequately but due to her own choice not to work more hours each week. One of the matters referred to in 75(2) (h) relates to the extent to which the payment of maintenance to the applicant would increase her earning capacity by enabling her to undertake a course of education or training. Although the wife receives a payment which seems to be related to her studies there is no suggestion in this matter that such studies would increase her earning capacity. Rather, the issue of further studies is not addressed at all in the wife’s affidavit and only emerges incidentally through a reference to the payment in her Financial Statement. Although findings of any matters in dispute between the parties including their respective contributions to the matrimonial assets cannot be determined at this stage, there is no dispute that both the wife and husband made significant contributions to the financial resources of both parties. The parties were married for just over seven years prior to final separation. The wife does not assert that there is a need to protect her in continuing to play role as a parent. She has at all times since the children were young been actively employed and earnt a considerable income. The children are now in primary and secondary school and it is not contended that the wife’s role as a parent requires protection. There is very little information concerning the financial circumstances of the wife’s partner. As previously noted, this is an unusual application for spousal maintenance as the parties finally separated four years ago. Since that date the wife has been able to support herself and the children to an apparently high standard in Singapore. It may even be, though it is unable to be determined on this application, that the wife had a greater earning capacity than the husband during the marriage and following separation. After the father and children returned to Australia and it was intended that the children live with the husband for at least six months in accordance with the Singapore orders, the wife also returned and covertly relocated with the children to Western Australia. When she returned to Sydney in circumstances where the husband sought to re–establish his relationship with his children, the husband agreed to support the wife by spousal maintenance and by paying her rent and some other outgoings. Subsequently the wife also sought Child Support in respect of the children’s expenses, which she now no longer seeks. Although the wife contends that her capacity to earn an income at a similar level to that which she previously earned has been affected by the actions of the husband, I am unable to make a finding to this effect. There is no other reason, in my view, that the wife cannot earn more than she currently earns having regard to her expertise and skills. I also have some concerns that the wife may have access to other income or financial resources as she has made an incomplete disclosure as to these matters. The wife does not give any details about her employers which is clearly available to her to enable verification of her claimed income. While the current circumstances of the wife may not be to a standard that she previously enjoyed, I am not satisfied that the standard of living she enjoys is unreasonable. Accordingly, I am not satisfied that the wife is unable to support herself adequately as required to be established by her as a threshold issue. Accordingly, the husband’s circumstances and capacity to pay does not arise, and the wife’s application for spousal maintenance is therefore dismissed. Although the husband previously consented to an order that he pay spousal maintenance for the wife of $400 per week, I am satisfied that he did so in circumstances where he was seeking to encourage the wife to relocate to Sydney and support her in doing so. I am also satisfied that in agreeing that such an order be made, the husband did not concede that the wife would continue to be incapable of being reasonably able to support herself at all times in the future. Although I have not made a finding as to the husband’s capacity to pay spousal maintenance, in circumstances where he is seeking that the previous order be discharged, the threshold issue of the wife’s ability to support herself must still be considered. For the Reasons given, I am not satisfied that the wife has established that she is unable to reasonably support herself adequately. Accordingly, the order requiring the husband to pay spousal maintenance made in July 2015 is discharged. I turn now to consider the husband’s application to discharge the existing order which requires him to pay spousal maintenance to the mother and his application for discharge of the arrears owing by him to her as a consequence of that Order. The husband’s formal application is contained within the Response to an Application in a Case (filed 20 October 2016) by which he seeks an order that the Order made 4 May 2015 – which provides that he is to pay the mother spousal maintenance in an amount of $1,000.00 per week – be discharged. I note, however, that a further Order was made by consent on 13 July 2015. This Order (which is the operative order) reflects the parties’ agreement that, from 15 June 2015, the husband pay the wife $1,000.00 per week spousal maintenance and that, by way of order departing from the quantum of child support payable pursuant to the assessment of child support in accordance with the Child Support Assessment Act 1989 (Cth), he pay the mother child support in the amount of $500.00 per child per week from 15 June 2015 and also pay the costs of the children’s attendance at private school and meet other defined expenditures. During the hearing, Counsel for the husband made it clear that the husband seeks to discharge the July 2015 Order only insofar as it relates to his obligation to pay spouse maintenance and that he seeks to discharge only those arrears which have arisen as a consequence of the obligation imposed upon him by that order to pay spouse maintenance to the wife in the sum of $1,000.00 per week. He does not, therefore, seek to discharge the Order insofar as it relates to his financial obligation to pay child support or to discharge any arrears which exist in relation to that obligation. The wife’s evidence is that the husband ceased making any payments in relation to child support and spousal maintenance in about October 2015. She says that, since then, he has only paid mortgage and insurance premiums referable to the former shared residence and has paid the children’s school fees. She accepts that he has paid $17,683.32 since the July 2015 Order was made. The wife asserts that, as at 12 December 2016, the husband is in arrears in an amount of $33,000.00 – referable to spousal maintenance – and $25,320.11 – referable to child support. Her case, in essence, is that his failure to comply with the obligations to pay monies he agreed to pay to her has arisen in circumstances where he continues to take the children with him to Sydney each alternate weekend. It is also submitted that his non-compliance with the Order has occurred despite his gross personal income for tax purposes being over $2 million in the 2015 financial year and about $800,000.00 in the 2016 financial year. It was appropriately accepted by Counsel for the husband that the husband bears the onus of establishing those matters prescribed by s 83 of the Family Law Act 1975 (Cth). That section provides that, if there is in force an order with respect to the maintenance of a party to a marriage, the Court may (relevantly) discharge the order if there is any just cause for so doing or suspend the operation of the order (wholly or in part) either until further order or until a fixed time or the happening of some future event or, subject to s 83(2), vary the order so as to increase or decrease any amount ordered to be payed or in any other manner. Section 83(2) of the Act relevantly provides that the Court shall not make an order increasing or decreasing an amount ordered to be paid by an order unless it is satisfied that, since the order was made, the circumstances of the person liable to make payments under the order have so changed as to justify it so doing. Further bases upon which a Court may make an order increasing or decreasing an amount previously ordered includes that material facts were withheld from the Court that made the order or that evidence previously given was false. Section 83(5A) of the Act relevantly provides that the Court should have regard to any payments, transfer or settlement of property made by a party to a marriage to the other party. There is no evidence to suggest that there has been any transfer or settlement of property previously made by the husband to the wife, other than that he has previously paid $30,000.00 to her for her use in meeting legal expenses associated with the litigation. It is clear also (see s 83(6) of the Act) that the Court has the power to make an order decreasing the amount of a periodic sum payable under another order in a retrospective manner to such date as the Court considers appropriate. Section 83(7) of the Act provides that, for the purposes of s 83, the Court shall have regard to the provisions of s72 and s 75 of the Family Law Act 1975 (Cth). Having regard to the evidence relied upon by the husband in support of his application, I consider, on an interim basis, it to be more likely than not that the indebtedness referred to by the husband in that material was likely to have been known to him at the time he entered into the July consent order. Further, whilst it appears he received a Statutory Demand for payment of about $900,000.00 in October 2015, this was referable to a period from October 2014 to October 2015 and likely known to the husband. I also take into account that, despite this Demand having been received by him, he made no application to the Court to seek to be released from the terms of the consent order made in July 2015 until much more recently. Further, there is no evidence given by the husband to suggest that the debts he refers to – including the significant one to the Australian Taxation Office – as those he is required to repay arose only after he entered into the July consent order, or that his obligation to meet those repayments represents a significant change to his financial circumstances in circumstances that were unknown to him, or incapable of being known by him, when he entered into the July 2015 consent order. Further, whilst the May 2015 Order was, it seems, the original order by which the husband agreed to pay the wife $1,000.00 per week by way of spouse maintenance, he reaffirmed this agreement on 15 July 2015 when he agreed to a further order being made in those terms. His evidence is that he learned of the loss of a contract with a government department, “in about July 2015”. His evidence is no more specific than this. He says that, as a consequence of the loss of this contract, he lost income and had an increased debt level. However, he obviously is the person who could have given clear evidence that he had not lost the contract at the time he entered into the consent order in mid-July 2015 or, for example, that he did not know there was any prospect of him losing the contract or, for example, that he was completely taken by surprise at the loss of the contract. The fact is that he has not provided the Court with such evidence. Further, it seems to me he could clearly have particularised the date on which he learned of the loss of the contract with the government department so as to establish – without doubt – that it either pre or post-dated 15 July 2015 (when the terms of the consent order were struck) but he chose not to. Whilst it was submitted on his behalf that he pays about $9,348.00 per week tax, the mortgage repayments on the home in which the mother and children live and rent for himself, it is also clear that this was the situation at the time the parties entered into the consent order made on 15 July 2015. In addition, I note the contents of the father’s discussions with Ms I (the Family Report writer) in late August 2016 to the effect that he would be prepared to meet more significant financial obligations if the children and mother remained living in Australia: “If she gives him his financial settlement”, and the mother directs these monies to the children’s development and not religious development. This appears to me, on a prima facie basis at least, to be some evidence to suggest his financial position was not then so constrained that he was unable to pay moneys he is currently required to pay in meeting obligations imposed on him by the July 2015 Order. I am not persuaded that the husband has discharged the onus of establishing the matters required by s 83 of the Act. I consider that, if he decided not to take the children to Sydney every second weekend and, therefore, decided not to incur the costs associated with those visits (such as flights, accommodation and transport) it is much more likely than not that he would easily have the capacity to meet the terms of the Order he agreed to in July 2015. I accept, on an interim basis at least, the submission made on behalf of the wife to the effect that it appears the husband has simply determined to place the expenses associated with having the children participate in foreign language classes in Sydney every second weekend – which he estimates to be in an amount of $2,000.00 per week or $104,000.00 per year – ahead of his obligation to meet the existing order for the payment of spousal maintenance to the wife. I am not persuaded that the husband has discharged the onus of establishing that he does not have the capacity to meet the payments required to be made pursuant to the existing Order. I am not persuaded that the husband has discharged the onus of establishing that his circumstances have so changed since the July 2015 Order was made as to justify decreasing the amount payable or discharging the arrears. I am not persuaded that there is a just cause for discharging the term of the July 2015 Order which requires the husband to pay spousal maintenance to the wife of $1,000.00 per week. For these reasons, I decline to do so. Similarly, I am not persuaded that the husband has discharge the onus of establishing that there is a just cause to discharge the arrears payable by him to the wife in consequence of the existence of the July 2015 Order and I decline to do so. The husband also makes an application for spousal maintenance payable by the wife in the quantum of $150 per week ongoing and open-ended. In proceedings with respect of the maintenance of a party to a marriage, the Court may make such order as it considers proper for the provision of maintenance in accordance with this part. c) for any other reason. having regard to any relevant matter referred to in sub-section 75(2). 85. The consideration under s72 is a different one to the consideration of the s75(2) factors generally under this s79 process towards altering property interests. That is, s72creates a threshold of onus of proof in an applicant, firstly, to show that he/she has ‘needs’ and, secondly, that he/she cannot meet those needs It is then, and only then, if that threshold is crossed, that a Court will turn to consider the ability of the respondent to contribute to an applicant’s needs. The husband’s needs are set out and effectively unchallenged in his statement of financial circumstances filed to June 2017. He deposes to needs of $800 per week inclusive of legal costs of $385 per week. These costs are not an ongoing expense and I therefore accept the husband’s proper weekly expenses at approximately $415 per week. He currently has no accommodation costs and the options created by my s79 orders will add extra expense for him in this regard. The husband’s income is limited to interest on his superannuation fund which currently brings in $267 per week. The separate nature of the maintenance consideration as opposed to the s79 process implies that a party should not necessarily be required to diminish their assets as a form of self-maintenance. The difficulty with the husband’s application, however, is that he has not in my view, discharge his evidentiary burden in showing that he cannot obtain some employment to attend to his own needs. It is true that he has not worked for remunerative employment for some 17 years. His doctor deposes to a number of physical ailments which would preclude him from heavy labour. He is 58 years of age. Nevertheless, cross-examination of Dr A elicited concessions that the husband could perform lighter work. Dr A agreed that the husband could physically undertake his previous occupations as a (occupations omitted) or other rather less physical work such as (omitted) or (omitted). Whilst I accept that entry for Mr Meehan into the workforce might be circumstantially difficult, this is not the test. There is no evidence before me of any efforts or attempts by the husband to obtain any employment whatsoever or to undertake any form of re-training so as to enter the workforce. In this sense there is no evidence of him mitigating his own current position. I am not satisfied, therefore, that he has discharged that onus which rests heavily on him and therefore has not crossed that threshold question in his application for spousal maintenance must fail at that point. The Wife deposes to both X and Mr P suffering from “crippling depression and anxiety” as a result of their exposure to the Husband’s behaviours, and to neither of them spending time with the Husband since separation. The Wife says she has been under significant financial stress since the parties’ separation. She has limited capacity to earn an income. She cannot afford to meet the costs of X’s medical treatment or many of hers or X’s day to day needs. She has been slowly depleting the inheritance she received from her mother’s estate in (omitted) 2016. Until consent orders were made at the time of this hearing, restraining the dissipation of the parties’ joint assets, the Wife was concerned that the Husband would diminish their joint assets including his (country omitted) retirement benefits. The Husband’s decision to sever the joint tenancy on the Property A property without her consent led to her concern that he would deal with his share of the property unless restrained from doing so. As already noted, the restraints sought by the Wife were made by consent at the time of this hearing. The Husband relies on his Response filed 10 October 2017, his Affidavit and Financial Statement sworn on the same day. The Husband contends that the Wife is earning more than disclosed and that she has an even greater earning capacity. The Husband’s counsel argues that the Wife has not established the basis for a number of the expenses she claims. For example she adduces no medical evidence as to X’s treatment needs. In relation to the lump sum sought for repairs to the Property A property, except in relation to fence repairs, the Wife fails to adduce evidence to support her contention that the repairs/works are required. The Husband would agree only to the cost of the fence repairs being paid from the Controlled Monies Account. Can the Wife adequately support herself? The Wife is 49 years of age and was out of the workforce for over 20 years while caring for the parties’ three children, looking after the home, supporting the Husband in his career, including relocating the family to (country omitted) and later to the (country omitted). While she was engaged in (business omitted) for a limited time in both (country omitted) and Sydney before the parties separated, the Wife’s income was minimal. She was always financially dependent on the Husband. The Wife deposes to compromised health from depression and anxiety and polyarthritis. She deposes to her daughter X suffering from mental health issues and borderline personality disorder, demanding her time and care. While the Wife received an inheritance in April 2016 of approximately $108,000, she has already spent over half that inheritance on expenses she claims she has otherwise been unable to meet. The Wife’s counsel argues that it is not reasonable for the Wife to utilise all her funds, in circumstances where she has minimal earning capacity and minimal ability to provide for her needs, and the children’s needs into the future. The Wife deposes to ceasing full time work in 1994, then significantly reducing her working hours to care for the parties’ first child, Mr B, born in (omitted) 1996. While the Husband says, and I accept, that he supported the Wife to establish and maintain her (omitted) business before the relationship ended, I am satisfied on the basis of the facts set out in the chronology, that the Wife never had the opportunity to engage in full time, well paid employment, as the Husband always did. The Wife deposes to the Husband working long hours and travelling frequently for up to a week approximately once a month, which resulted in the Wife being responsible for the vast majority of domestic and child care tasks. The Wife did not return to the workforce in any meaningful way until after separation when she worked in her own fledgling (omitted) business. The Wife deposes to owning the Property A home jointly with the Husband, to bank proceeds of $75,361 (excluding account held for X), $2,918 in a paypal account, $86 in a (omitted) share portfolio and $41,981 (50% of $83,962) in the parties’ Controlled Monies Account. The Wife has a car with an estimated value of $23,000, a (omitted) business of unknown value (generating a small income), household contents with an estimated value of $5,000, and $4,000 in her solicitors’ trust account. She holds gold coins gifted to the three children by her mother. The Wife deposes to a superannuation entitlement held in two funds with a total value of $27,839. She has no liabilities. The Husband questions the accuracy of the Wife’s asset position. He relies in particular on her failure to disclose receipt of her inheritance in April 2016, until December 2016. He believes the Wife has held accounts she has not disclosed. While the Wife clearly failed in her legal obligation to fully disclose her financial position when withholding information about her inheritance, I find no evidence to support a finding that the Wife is hiding assets. I do not accept the Husband’s counsel’s argument that the Wife’s asset position disqualifies her claim for interim spouse maintenance, and that the case of Mitchell should be distinguished. I am not satisfied it would be reasonable to require the Wife to spend her only capital funds to meet her reasonable needs, while the Husband meets his expenses on the income made possible by the Wife’s domestic contributions made over a 20 year marriage. On the basis of my findings, I am satisfied that the Wife cannot adequately support herself and that her reasonable needs total a net $603 a week. Does the Husband have capacity to pay? The Husband’s counsel submits that despite his income and earning capacity, the Husband has no capacity to meet a spouse maintenance claim. He asks the Court to note that the Husband has not been able to establish more permanent living arrangements, while the Wife has had the advantage of living in the former matrimonial home. As already noted, on a comparison of each party’s claimed expenses, the Husband claims more for entertainment, for food, holidays, for car expenses, clothing and shoes, chemist, for gifts, for hairdressing and toiletries than does the Wife. In addition he claims $312 a week for other necessary expenses (including cigarettes, a gym membership, and an admin fee from (omitted)). He pays $400 a week in rent to his landlord who is his partner. If I allow $150 for food (the Wife claims $100), $25 for hobbies/entertainment (the Wife claims $25), $10 for gifts (the Wife claims $5) and $200 a week for other necessary expenses (the Wife claims $8), that reduces the Husband’s expenses by $274 a week but still allows him higher expenses than the Wife. He already has a surplus of $184 a week on his own figures. This would give the Husband a total surplus of $458 a week from which to pay interim spouse maintenance. What order is reasonable having regard to relevant s.75(2) factors? The Wife’s counsel submits that the Wife, at 49 years of age, has compromised health, including anxiety, depression and arthritis; the Wife has responsibility for caring for X who suffers from significant mental health issues. Counsel submits that the Husband has the greater capacity to work and to earn a substantial income and that the Wife seeks a modest standard of living, considerably lower than the standard of living the parties enjoyed during the marriage. Counsel submits that even on his own evidence, the Husband enjoys a far superior financial position to that of the Wife. The Husband’s counsel submits that the court should have regard to the length of time since separation (3 years), and to the Husband’s financial support to the Wife until 12 months ago. The Husband admits he has suffered from various addictions which has resulted in monies being wasted and has necessitated undertaking treatment in a residential facility. The Wife’s unchallenged evidence is that the balance of the mortgages secured on the (country omitted) and Property A properties would have been significantly less, and the value of the parties’ assets greater, had the Husband not gambled. In December 2013, the Husband entered a rehabilitation programme at the (omitted) for 4 weeks, the discharge summary noting that he presented with “compulsive gambling behaviours”. I find this a relevant factor under s.75(2)(o). I have determined that the Husband will pay spouse maintenance to the Wife in the sum of $400 a week on an interim basis. I have determined to dismiss the Husband’s interim application for the Property A property to be sold. That will be a question for final hearing if the property matter is not resolved earlier. Why hire Freedom Law for your family law needs? WHY HIRE FREEDOM LAW, THE FAMILY LAW SPECIALIST? When it comes to finding the right family lawyer, you need someone who genuinely cares about your case. Choosing the right lawyer is an integral part of the family law process, and you can’t afford to risk the future or financial security of your family on the wrong representation. With Freedom Law, The Family Law Specialist on your side, you can trust that your case will be in safe hands. We are 100% focused on family law – Family law is all we do, and we have an impressive record of results that demonstrates our capabilities. Your lawyer will be there when you need them – We know that you want to have access to your lawyer. We are readily available to our clients. You can get to know us in an initial consultation – Your choice of legal representation is too important to leave to chance. Get to know us before you make a decision. You can work with an accredited family law specialist – When your future is uncertain, you can find comfort in knowing that you have an accredited family law specialist on your side. We are backed by 25+ years of legal experience – We have been handling cases in the Family Court and Federal Magistrates/Circuit Court systems for decades. When you work with Freedom Law, The Family Law Specialist, you will have a lawyer with the skill to represent you no matter how complicated your case may be. Our team is highly experienced and lead by an accredited family law specialist. We focus on family law because we care deeply about families and what happens to them, especially in times of change and transition. That concern means your lawyer will have the time and consideration to answer your calls and assist you in accomplishing your goals. Your family deserves legal service that fits your needs – not a one-size-fits-all solution. Our in-depth knowledge of family law and our extensive experience in negotiation, mediation, arbitration and litigation means that we have a wealth of knowledge to draw from in finding solutions that fit you. Regardless of the family law matter you currently face, you need a lawyer who will not only provide sensitive counsel, but fight for your best interests. You need a lawyer who gives you confidence, and one who will stand by you. This is what you will find at Freedom Law, The Family Law Specialist. They’ve been described as the “gods of the court” — the report writers whose written assessments can affect the Family Court’s decision on which parent gets custody of their children. For parents who say the report writer got it wrong, the choice is stark: pursue the legal “fight of your life” to overturn the report or accept losing custody of your kids. Family report writers are usually social workers, psychologists or psychiatrists. Now, a group of parents has banded together to launch a challenge against one report writer in New South Wales, alleging his practices “place the public at risk”. The group has accused him of a string of failures including “grossly inaccurate and incomplete” recording of interviews, “misdiagnosis”, and that he “applies unscientific theory”, particularly in response to allegations of child abuse and family violence. Their campaign has resulted in the alleged problem practitioner being referred to the Medical Council of New South Wales, a body that has the ability to suspend the practitioner’s registration if it believes the public is at an immediate risk. One member of the group has told the ABC the work of the report writer had caused “irreversible damage” to their family. “Our lives are certainly never going to be the same again and I feel open disgust for a system that tolerates somebody who is so obviously acting outside the law and outside his expertise,” Kellie* said. The group of parents hope their action will bring renewed scrutiny to the regulation of Family Court report writers, who critics say can operate “beyond the rule of law”. “We certainly see it as a milestone shift in the regulator’s position because they’ve held the wrong position for years that these [practitioners] engaged by the court are beyond the reach of regulation and in a sense, beyond the rule of law,” Kellie said. 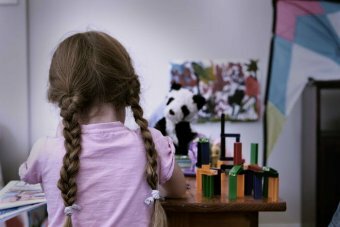 One Sydney-based psychologist with more than 30 years’ experience told the ABC he saw the work of the alleged problem practitioner after several parents came to him seeking a second opinion. The psychologist, who did not want to be named, said on several occasions he prepared secondary reports that were submitted to court. “The work I’ve seen has had dramatic effects upon the parents involved and I reached different conclusions, very different conclusions,” he said. “It’s questionable that someone should diagnose a personality disorder based on a few interviews only, particularly in an acrimonious situation. The type of practitioner at the centre of the group’s complaints is referred to by the court as a single expert witness, and by the legal community as a family report writer. They work either internally as employees of the court or as external contractors. Those employed by the courts are referred to as family consultants. 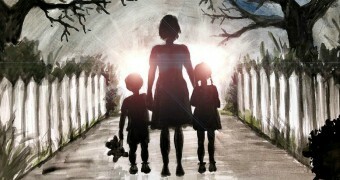 A mother and her children went on the run, avoiding police for three years. For the first time she tells the story of how she did it, and how she was caught. In family law matters, report writers meet with families, make an assessment of issues within the case and prepare a report of recommendations for judges to consider when deciding the best arrangement for children involved in custody battles. Concerns about these practitioners go beyond one case and extend to the lack of governance over the entire process of report writing. In an overburdened court system, barristers and lawyers have told the ABC the recommendations in expert reports can be heavily considered in deliberations. One parent advocate told the ABC challenging a family report, or “counteracting the gods of the court”, would be “the fight of your life”. Similar comments were made in submissions to last year’s parliamentary inquiry into Australia’s family law system. In December, that inquiry handed down its report and recommended “abolishing private family consultants” as well as establishing a “national accreditation system” that included a “complaints mechanism for parties when family consultants do not meet the required professional standards”. The practitioner at the centre of the recent complaints is a private family report writer, or, a single expert witness. Currently, there is no accreditation for conducting this kind of work. Family report writers do not need to have clinical experience, and while specialised training in dealing with violence and abuse allegations is encouraged in a set of guidelines, it is not compulsory. The Family Court of Australia said an accreditation system for internal family consultants “would be unnecessary” as that work is already the responsibility of the courts. The courts that hear family law matters — currently, the Family Court of Australia, the Federal Circuit Court and the Family Court of Western Australia — developed the Australian Standards of Practice of Family Assessments and Reporting. The court said “these standards are an outline of what the court considers to be good practice” and private report writers were “not compelled to comply”. Attorney-General Christian Porter said the Federal Government’s legislation to reform the courts would streamline administrative issues, focusing on costs to litigants, delays and the skill level of those working in the system. “Largely a regulatory regime would be for government, but equally there is a massive ability through the rules of court to ensure there are certain standards that have to be met by experts and that is a process which has to be designed in the court,” he said. Family law matters are dealt with in the Family Court and the Federal Circuit Court (FCC) as well as the Family Court of Western Australia. Mr Porter said the planned amalgamation of the Family Court of Australia and the Federal Circuit Court would help, “ensure that costs of experts of a variety of types are kept to a minimum”. In some judgements, parents are ordered to pay several thousand dollars each for a single report. In some cases, judges name the private family report writer parents who must engage in interim court orders, but there is no regulation for what that practitioner can charge. Federal Liberal MP Craig Kelly has campaigned for regulation of these practitioners, particularly their fee structure. “They should be given a list of people they can go to to get this done,” Mr Kelly said. “To allocate it to one person where one person is given basically a monopoly position where they can charge whatever they want is against every principle of justice, of fairness and equity and every economic principle we abide by,” he said. The Family Court and the Federal Circuit Court have a complaints process for report writers employed internally. After hitting dead ends with the courts when trying to complain about private practitioners, both Kellie* and another advocate who spoke to the ABC had some success complaining to the relevant health authorities. In NSW, the Health Care Complaints Commission (HCCC), the Medical Council, and the national health regulator, the Australian Health Practitioner Regulation Agency (AHPRA), govern registered health practitioners together under what’s referred to as a co-regulatory arrangement. In this case, the HCCC received the parents’ complaints and decided to refer them to the Medical Council. In one response to the group, the HCCC said there were, “concerns about the conduct” of the practitioner, “in relation to his use of particular clinical theories and his interview techniques” and that it was a, “broader issue of conduct outside of a specific family law case”. The HCCC confirmed to the ABC it had received “a number of different types of complaints” about the practitioner. The Medical Council does not have the power to investigate the claims, but can conduct inquiries and suspend a practitioner if there is an immediate risk to the public. If it decides a full investigation is required, the complaints will be batted back to the HCCC and the public may be consulted. The Medical Council told the ABC national law, “makes it an offence to disclose information about complaints” it receives, but each would be, “considered according to its facts”. In May last year, the Federal Government directed the Australian Law Reform Commission to conduct a “comprehensive review” into the family law system. That inquiry is due to deliver its report to the Attorney-General in March 2019. Mr Porter said if that inquiry returned recommendations about regulation of family report writers, the Government would take them “very seriously”. A former president of the Clinical Psychologists Association of Australia and a psychology clinic director at the University of Sydney, Judy Hyde, said the level of training family report writers were required to have was “scary”. “The public doesn’t know how bad this is,” she said. “This is terrible because what they’re saying is, we’re prepared to have people with unaccredited training undertake assessments of very complex, specialised, difficult cases where people’s lives are based on the decisions that are made for them. Ms Hyde made the point that other types of assessments have registers of approved suppliers. “WorkCover requires you to have accredited training for WorkCover … that should be the same at least for the children that we’re trying to deal with and help manage their lives going forward,” she said. Ms Hyde acknowledged family law was a difficult area of practice for assessors. “There are complaints made by people who haven’t got what they wanted, but the fact is people are very poorly trained to actually manage these assessments anyway and the lives of our children are put at risk,” she said. *Kellie’s name has been changed.